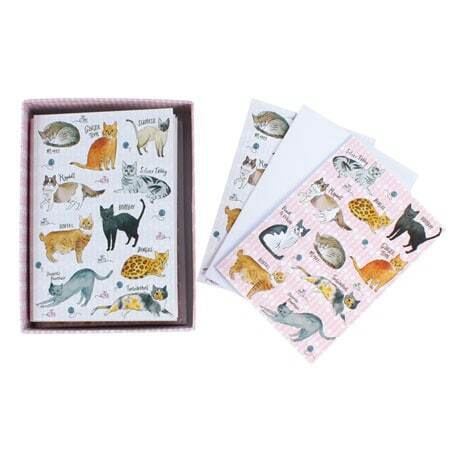 A two-toned ragdoll prances, a ginger tom glares, a gray domestic shorthair stretches luxuriously… ten different breeds of cats being their usual adorable selves illustrate these petite 3"x4" blank note cards from British designer Milly Green. 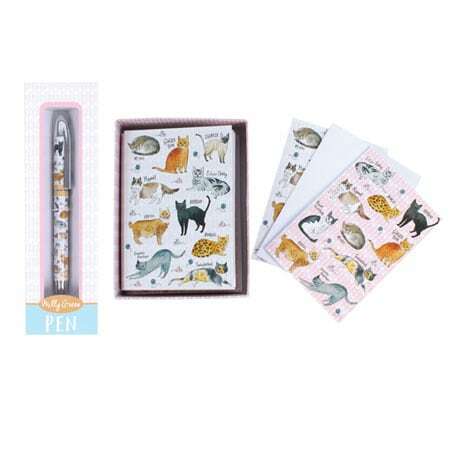 The boxed set includes ten cards (five pink, five dove gray, all with a cute fishbone-patterned background) with envelopes. 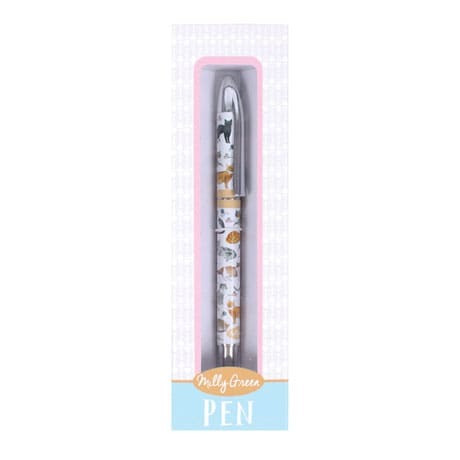 And the coordinating rollerball pen makes writing thank-you notes or cheerful greetings all the more fun. What a purrfect pair for cat lovers!